In the 1930s, Virgil and Helen Johnson purchased a handmade Christmas tree for their family from a Swedish carpenter’s union in Minneapolis. 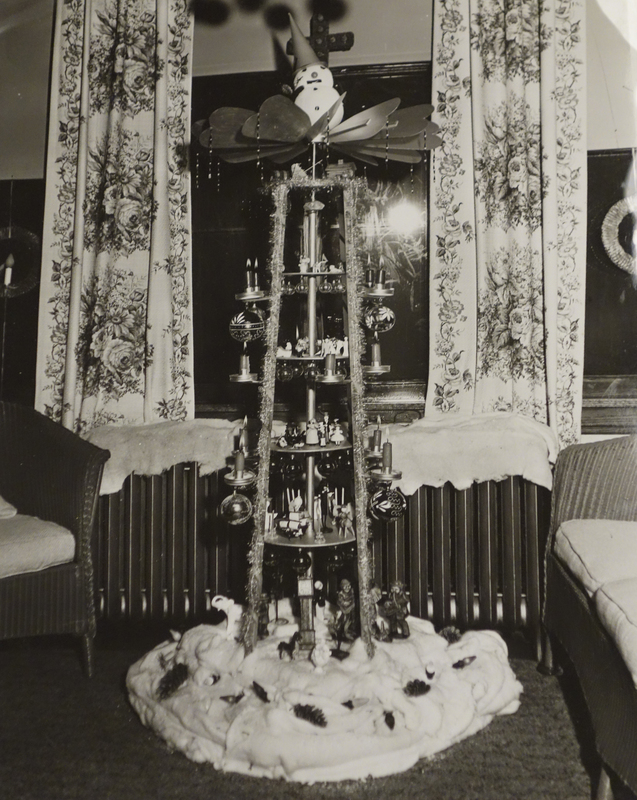 Over the years, the family continued to decorate the tree during the holidays, and nearly 90 years later, the artifact is now part of the Minnesota Historical Society’s collections. This unique style of tree, called a Christmas pyramid, has its roots in German folk tradition, and some historians considered it a precursor to the Christmas trees we know today. The pyramid has several shelves where the Johnsons could place holiday ornaments and figurines. 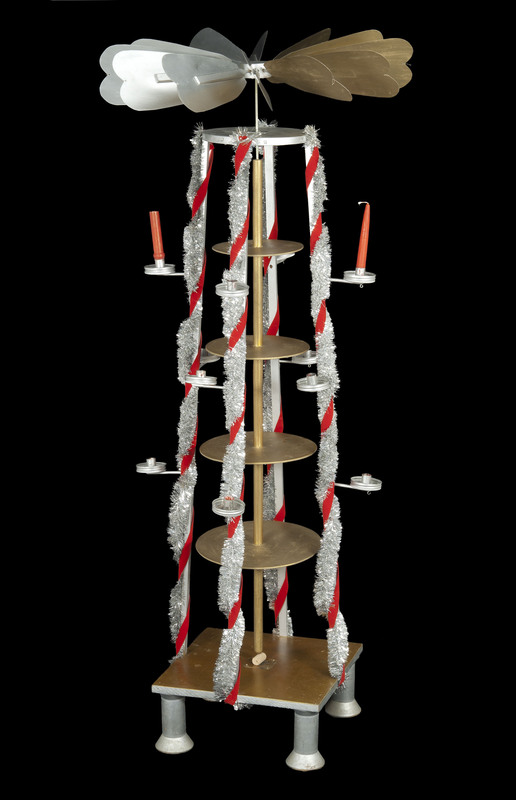 It’s topped by a wheel of rotating fan blades, and when candles are lit on the pyramid, the resulting heat causes the fan and shelves to spin. (For preservation reasons, MNHS curators won’t light candles on our pyramid, but here’s a video of another Christmas pyramid in action). 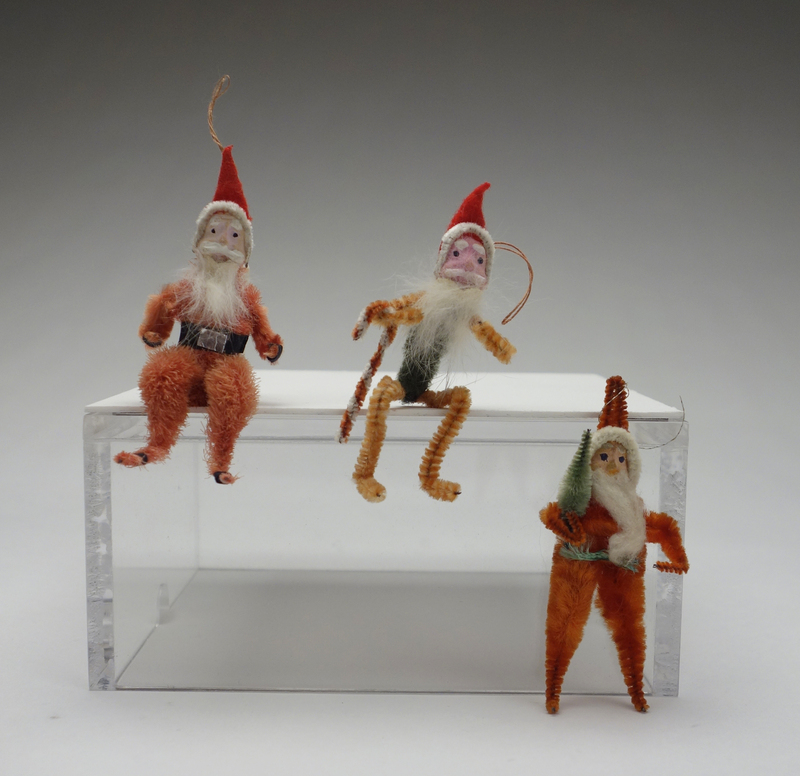 “The tree and its decorations are great complements to other holiday decor, folk art, and union-made material in our collections,” said Sondra Reierson, 3D objects curator and interim head of collections management. The tree’s owner also has a unique Minnesota story. Virgil Johnson was a noted hockey player in his day, playing for local minor league teams like the Minneapolis Millers and St. Paul Saints as well as on the 1938 Stanley Cup champion Chicago Blackhawks. Johnson became a member of the U.S. Hockey Hall of Fame in 1974. In addition to the tree, MNHS acquired Johnson's collection of 100+ family photographs and slides, chronicling three generations of the family in Minnesota, dating back to his grandparents’ arrival from Sweden in 1881. Digitization of collections items for online access is made possible by the Legacy Amendment's Arts and Cultural Heritage Fund through the vote of Minnesotans on Nov. 4, 2008.